So.. Yeah. I'm nerding out. 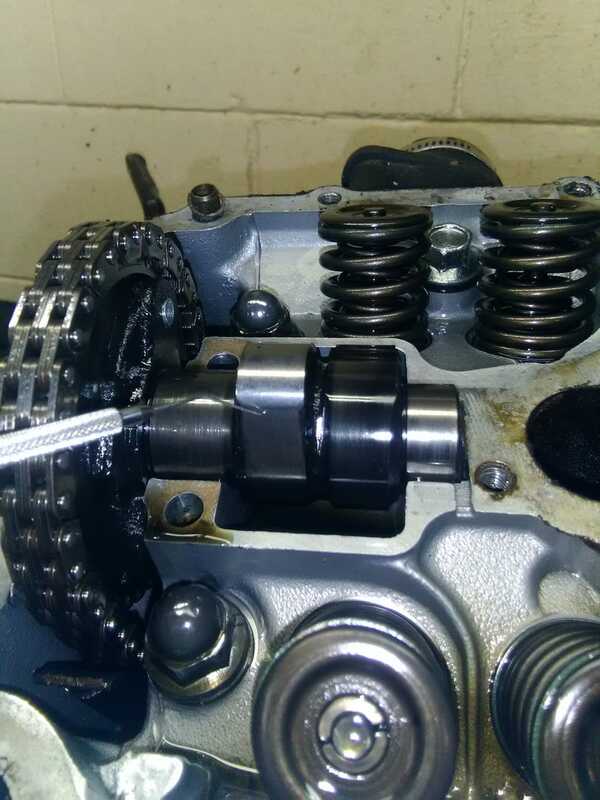 This camshaft grind is wonderful. You can actually see and feel the ramps on the intake and exhaust lobes! That dental pic is pointing out a concave area on the exhaust lobe. The cam looks like a long ramp up on the intake and a quick shut on the exhaust but it’s not shaped like a typical overhead cam. They did some homework for sure here. I think they were going for a vacuum on the exhaust to pull more in on the intake when it came back around? (It’s called scavenging dummy!) Honda didn’t need to do that. Not on a machine that only lived for two years. I need to know more now. Lift, duration, LSA.. Gaa!